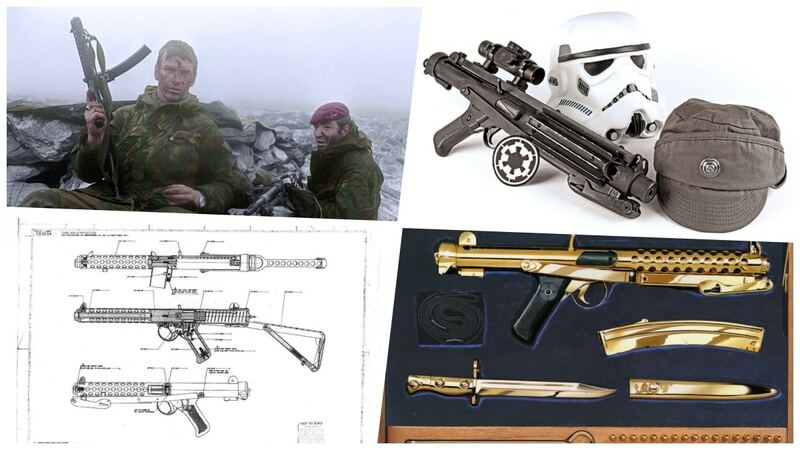 Best known as the base for the Star Wars Stormtrooper’s BlasTech E-11 Blaster, the Sterling SMG actually has a long and interesting history of its own accord. Springing from the mind of George William Patchett, the chief designer at the Sterling Armaments Company, the compact sub gun was designed during WWII to replace heavy and expensive to produce Lanchester SMG and Tommy gun as well as the simple yet seriously unsafe STEN gun. It was handy, at 6 pounds in weight and 18.9-inches overall with its stock folded. Its 7.7-inch barrel was fairly accurate for a room-broom, putting a five shot group into a notebook paper-sized target at 100-yards. It used a blowback action and fired from an open bolt at a controllable 500 rounds per minute cyclic rate. Plastic furniture kept it lighter than the Thompson and Lanchester while the use of steel stampings made it easy to mass-produce like the STEN. The weapon was chambered for the standard 9x19mm Parabellum round, and fed from either the straight box STEN magazine or a curved banana clip of Sterling’s design. The Army liked it and Sterling produced a small batch for field-testing before the end of the war in 1945. The peacetime military always runs slower to adopt a new weapon and trials and testing delayed the final adoption of the Sterling for eight years. Full-scale production started in 1953 at both Sterling’s plant at Dagenham and the Royal Ordnance Factories at Fazakerley. Modifications included at least three progressively improved versions, including the L34A1 integrally-silenced version and one semi-auto closed-bolt variant for police use. The Sterling was adopted by the British military as the L2A1 in 1953. 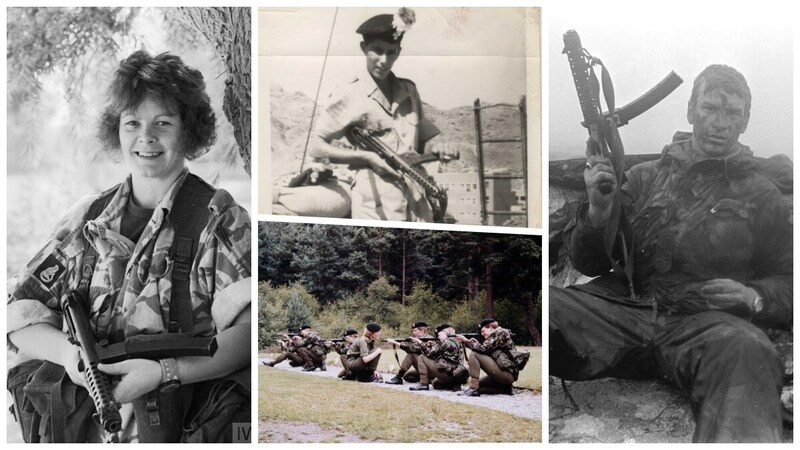 In British service, it equipped SAS commandos, airborne units, and others and saw combat in Northern Ireland, the Falklands (on both sides), Malaysia, the Suez, and in the Middle East until withdrawn from service in 1994. During the same time, it was sold abroad to more than 40 countries on six continents and continues to serve with operators and security persons to this day. The Sterling remained in British service for a solid 50 years and continues to soldier on in India and other places around the globe. Several users, including Chile, Canada, and India, liked it so much they put it into licensed local production. It is estimated that over half a million have been produced. An example of the Indian-produced variant made at Ordnance Factory Kanpur as the 1A1, complete with some behind-the-scenes factory footage. It has been in dozens of movies and TV shows, including, of course, the Star Wars franchise. Although, in the hands of Imperial Stormtroopers, their accuracy has proven not quite as precise as some contend they typically are.